What’s the feel on not wearing socks with streak lt 2s? I just got my first pair today and can’t tell whether I like no socks or not. I would obviously normally wait and do a workout but I’ll most likely be racing in them on Saturday so I don’t really have time for that. I work out in them consistently in socks, but i also bought them with only training in mind, so a slightly bigger size. if you bought them in racer size, then ■■■■ it, go sockless, you’ll be fine. Size 8.5 in og and vic 2s are perfect with socks. Would a barefoot in size 8 milers work? IMO although they fit pretty similarly, the upper on milers is pretty forgiving, so between that and no socks, you should be good in 8’s. I’m currently wearing an 11 in Kinvaras, Rides, Streak LTs, and Victory XCs. 10.5 in MD800’s, though they’re a very tight sock-like fit that I like for 400 and 800’s. I found some harambee’s very cheap that I’m looking to buy for miles and longer with, maybe a couple 800’s. Can anyone comment on their sizing? To follow up my previous post, a 10.5 in the most recent Harambees fits me, though they are particularly wide. It may be that I’m more used to mid-distance and sprint spikes fits. If you have a more narrow foot, it wouldn’t be unreasonable to try a full size down. I’ll post a full review in the Master Review thread when I get a chance to get them on the track. Do the structure 19’s fit same as the 18’s? i would go a half size down personally, but you might have a completely different experience. I have an odd foot shape so my sizing is a bit different than everyone elses. I got the Structure 19’s in the Flash/H20 Repel version and they fit the same as my 18’s. I’d say probably stick with whatever your past size was, unless you have super narrow feet. Anyone know how the Streak LT3s compare to the LT2s? I found the toebox on the 2s to be pretty wide, so I would size half size down. Is this still the case? How do pro kit singlets fit? Do they fit like a normal “burner singlet”? I heard somewhere that the regular distance singlets run a little large, so its best to size down, but I was hoping for a second opinion! 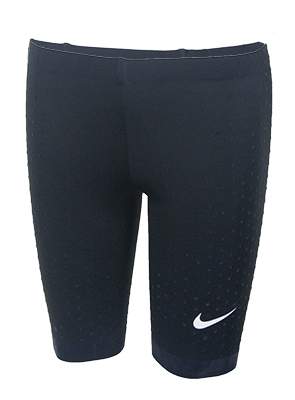 Does anyone have a pair of the Nike Swift Half tights? My friend is considering buying a pair, but is wondering how they fit. Are they pretty true to size?